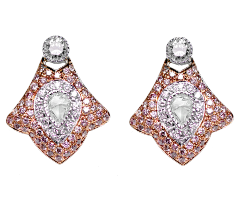 Earring tops with natural pink diamond and centered with rosecut diamond set in 18k gold. 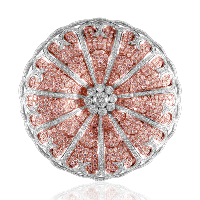 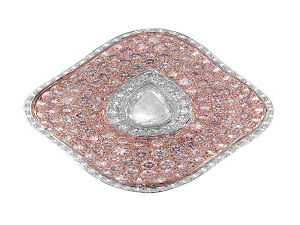 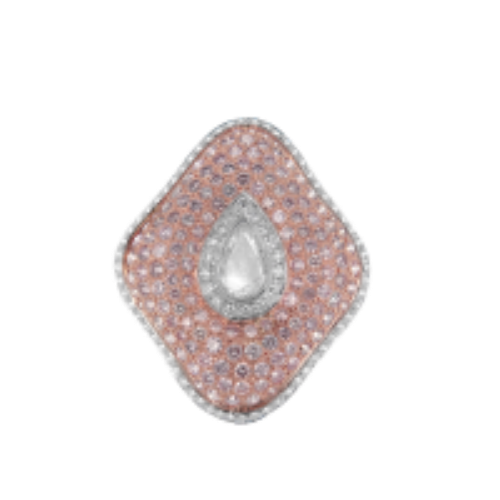 Pendant brooch with Natural pink diamonds and centered with a pear shape rosecut diamond set in 18k gold. 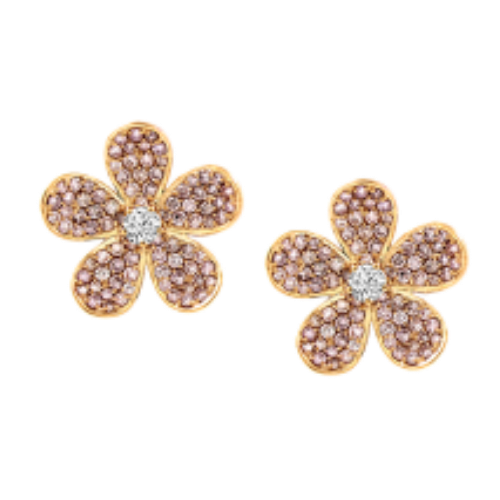 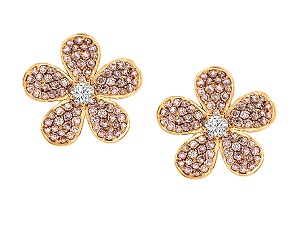 Natural pink diamond flower earrings centered with round brilliant diamond set I 18k gold. 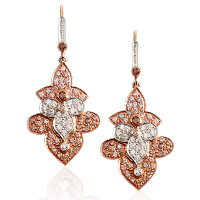 Natural pink diamond floral earrings centered with a cluster of colorless brilliant diamonds set I 18k gold. 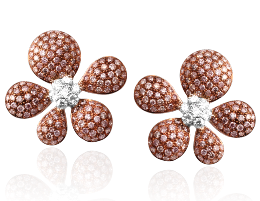 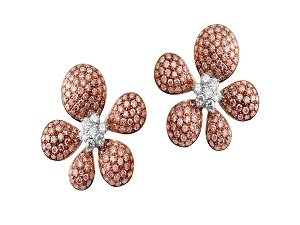 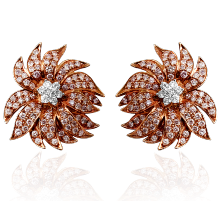 Natural pink diamond floral earrings centered with a cluster of colorless brilliant diamonds set in 18k gold. 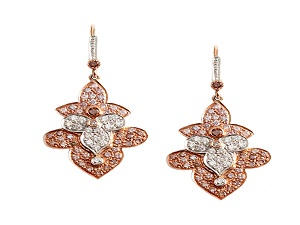 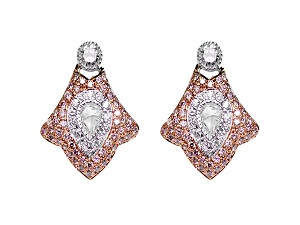 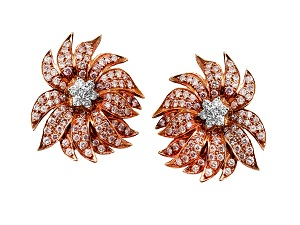 Dangle earrings with natural pink and white diamonds and accented with burnt orange diamonds set in 18k gold. 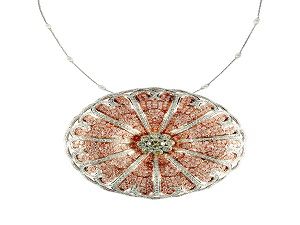 Natural pink and colorless diamond medallion pendant in 18k gold.